This product has been on the counter for quite a while now and it really is a brilliant creation in the mascara stakes - a mascara designed particularly for those awkward and fine bottom lashes. 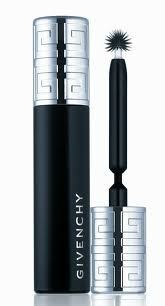 It is about half the size of a regular mascara tube and the wand is very small which makes for accurate results. 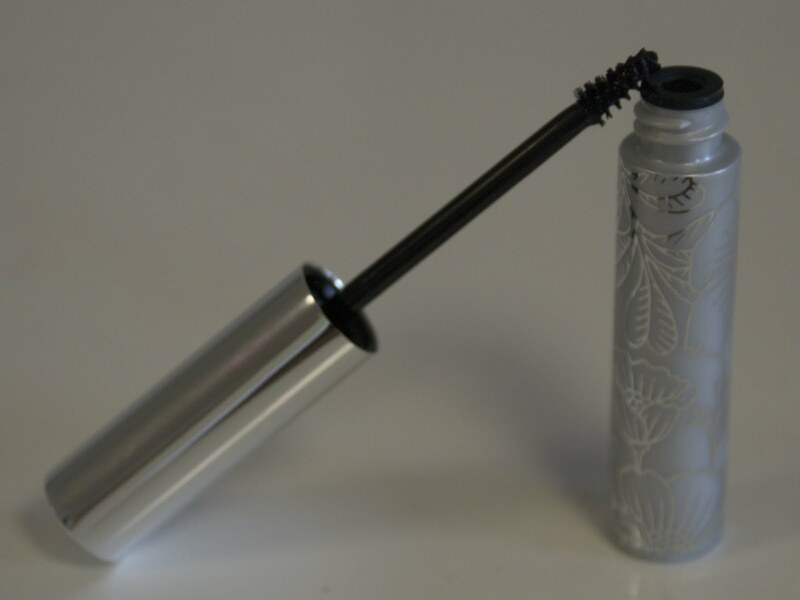 It works wonders on the bottom lashes, the small element to the wand ensures that there is no smudging and separates the lashes with ease and although not waterproof it is tubing so does not budge throughout the day. You can use it as an all over mascara but of course it has a specific purpose and has been created for the bottom lashes, so although it is not just a general mascara I think investing in it will transform the lashes because it really does make a difference. It allows for precise application, evenly separating and defining each lash on the bottom with no clumping because of its smaller benefits. 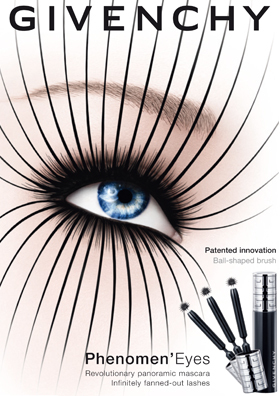 It also is so quick to apply, no more messing about with a big wand trying to make it even and presentable, it simply grabs each lash so quickly and lengthens and defines it with ease. It is also really good for the inner and outer corners of the top lashes because with the small wand you can easily reach the ones that often a bigger wand would miss. The packaging has a sweet floral design and its small size makes it easily identifiable in a make up bag, it also has an element of charm because it is so small! Clinique bottom lash is available worldwide and retails at £10 in the U.K so is not overly expensive but perhaps seems a little bit more than you might think because it is for a specific purpose - but it really is worth it! 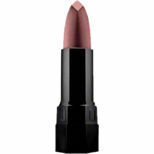 A reliatavely new product from Clinque is the Chubby Stick Moisturising Lip Colour Balm, or just Chubby Stick! There is a range of eight colourful balms in the collection each adding a bright pop of colour. The sticks are an excellent product for everyday application that you can just throw on as and when you need. They look almost like a colour crayon which is an appealing and different approach to other balms, and make it easier to 'scribble' on quickly and efficiently. They glide on beautifully and provide a gentle glow of colour, that is glossy and subtle, whilst transforming the lip making it appear more full and smooth. The lips feel nourished, hydrated and healthy - the balm is full of mango and shea butters making it perfect for dry and sensitive lips. Essentially, the chubby stick's have the benefits of a sheer lipstick with the colour pay off, but the repairing and nourishing qualities of a balm all in one product! 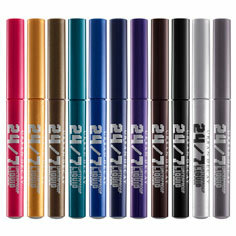 New in the Urban Decay range are the 24/7 waterproof liquid eyeliners. There are 11 shades in the range with lots of different colours to choose from. The liners come in matte and shimmery shades so there is one for every occasion. I have been trying three colours from the range, gold, green and silver shimmer. Urban Decay also have a great line of glitter lines so I was excited to see how these ones faired. On first appearance I was drawn to the length of the handle of the product which allows for easier and more controlled application. The brush on the liners is also really fine which is great because it makes it versatile in creating any shape you wish, with the benefit of being able to build on the product and to ensure precision and sharpness upon application. The liners glide on beautifully and the colour appears really dense and opaque which is brilliant (although you do need a couple of coats). 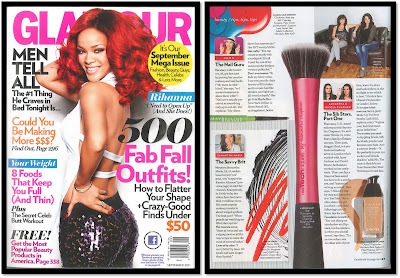 This opaqueness lasts which is extremely important with a liner. The longevity of this product is key as it is a waterproof liner and I have to say neither the intensity of the colour or the accuracy and position of the liner budges. The brush is also surprisingly good, not just because of its fineness, but because it is really simple to work with and easy to reply, it is flexible and pointed to allow for this. One small set back is that it takes a little while to dry completely as it goes on quite wet, but that really is only a small issue. The packing is also appealing because the colour of the liner is the colour of the package which makes it easy to differentiate between them. Overall, a durable and robust liner that doesn't budge (I tried with lots of water) making it practical and trouble free. The bright colour range and splashes of glitter make it a fun and different product. 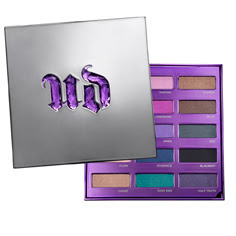 Urban Decay have just launched a set of 15 all-new eyeshadows to mark their 15th anniversary. 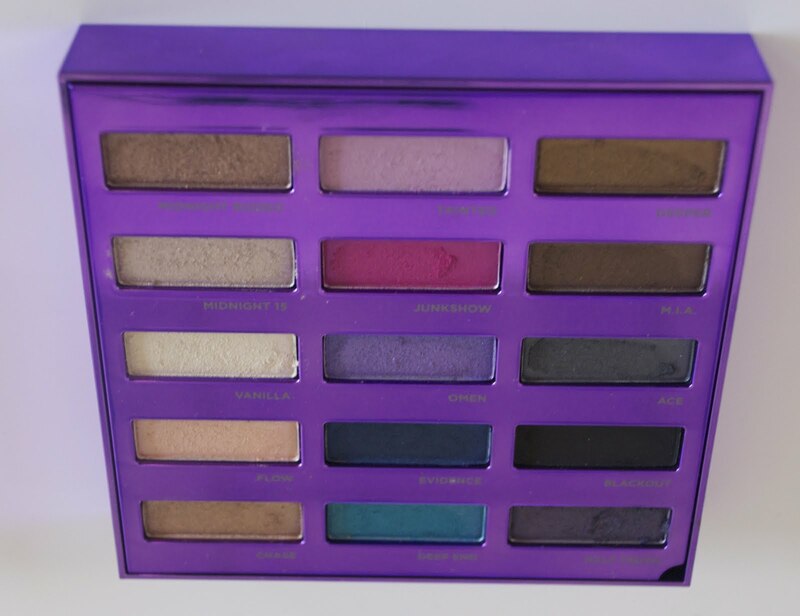 This a gorgeous addition to the fantastic range of eyeshadow sets that Urban Decay have already brought out over the years. The fifteen shades are diverse and versatile, all of which are frosted apart from a classic matte black. The palette's launch is also extra exciting because all of these shades have never been on the counter before and were created for the purpose of the palette. 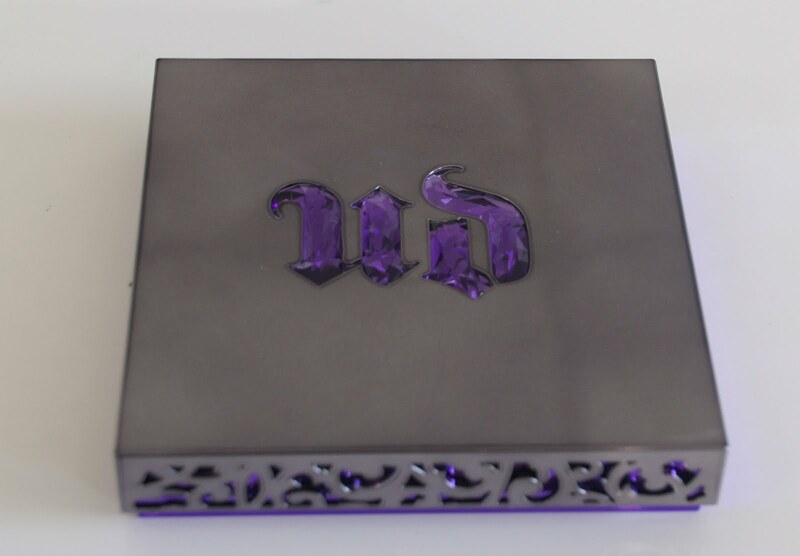 The packaging is lovely, it is quite simple yet attracts attention with the classic bright Urban Decay colourings. I like the box-like aspect to it, it gives it a slight special edge, but unfortunately this means that it does not travel well - there is no catch or magnet to keep it together, so unless you are really careful, the lid could easily come off if it was in a bag, definitely more one for the dressing table rather than the handbag but to be honest I think that is the intention. It has a lot of charm to it, underneath the eyeshadows is a velvet lined compartment which you could store anything you wish in it, very sweet.The only other downside to the packaging is that it fingerprints like mad, you can't pick it up without there being smudges all over it, but at the end of the day it is the product inside that counts. The texture of shadows is gorgeous, making for easy blending and versatility and like all Urban Decay shadows they are so highly pigmented and add an instant intensity and beauty as soon as they are applied on the lid. The beauty of the palette is that there is a good range of everyday neutrals, but also for the more daring there are pops of bright colours. Essentially, it is a palette that you can wear day and night and achieve a wealth of looks all in one small box. These are the items that I have been sampling, keeping them all in a Jessica bag which is above. I have been alternating the colours on one hand but kept the same colour on the other to test out the longevity of the products - which I have to say its really good. For a bit of background on the Jessica Cosmetics range, it was started by Jessica Vartoughian in the 1970's who had her own nail salons in the US, as her reputation spread Jessica Cosmetics and Jessica Nails launched to become one of the leading nail ranges around the world. I have been using a small pot of the Jessica Nourish Cuticle Cream (it normally comes in a tube or larger tub) every day, it definitely has made a difference to my cuticles and is hydrating and smoothing. The Hand and Body Moisturising Lotion is good for on the go moisturising and it doesn't leave the skin feeling greasy. It particularly works well on the feet because of its rich formula, providing instant smoothness and a hydration that lasts. The Cuticle Cream is £13.65 for 14.2g tube and £19.65 for a 28g tub. The Jessica Phenomenon Oil is definitely my favourite of all the Jessica nail care I have tried. I have been using it on all dry patches on my feet and hands and around my nails and it really works wonders, leaving the skin supple and deeply moisturised. The oil strengthens the nail and heals and restores dry cuticles, with an intense and highly effective nourishment. It also smells really good, like almonds/amaretto so that is a bonus too (because almond oil makes up its ingredients). If you want to use it as part of a manicure/pedicure then use it after the application of the nail polish otherwise it blends in with the polish and makes it watery! The other key feature of the Phenomenon Oil is that it does not have to be used solely on hands and feet but on pretty much any dry areas of the body - elbows, knees etc, it can even be used as a hair oil! Absolutely brilliant and versatile, I have been keeping my handbag so I can top up at all times. The Jessica Brilliance topcoat is an ultra-glossy top coat that adds an intense and immediate shine that dries in seconds on the nail and really does hold the nail polish in place. It totally revives the colour of the nail giving it a fresh and glowing appearance. It aids the longevity of the overall finish, and I found that - due to the sealing of Brilliance gloss topcoat - my nail varnish showed no sign of chipping for about five days. It also is complete with UV protection and prevents smudging and yellowing. I have been using these four bright nail colours over the last few days, these are only four out of a vast colour range from Jessica. There is an extended and more in depth review of the Jessica colours here. Overall, the best thing about the varnishes is that they are highly pigmented, even after one coat the depth of colour shows and they dry very fast. Finally, I also sampled the Jessica Top It Off which is a top coat that dries with a cracked finish. I have to say I am not a huge fan of the cracked appearance overall, it is not something I would normally wear but asides from the appearance, it dries very fast and it is definitely something different to do with your nails! This is a gorgeous bronzing powder that gives a sun kissed radiance to this skin. It benefits from two colours so you could use the lighter shade as an all over colour then define with the darker, the darker also has glitter in it. It has a velvety feel and is well milled so application is smooth. The eyeshadows come in a range of vibrant colours, I particularly like these two (Ultraviolet on the left, Stardust on the right). They blend well and have a silky texture which makes them glide on the lid with ease giving them a luxurious quality. There is a wide colour range with lots of bright colours so definitely a lot to choose from for the adventurous, but also a natural look can be achieved within the range. They are also designed to be long lasting, I found that they didn't crease or shed. Impressive. 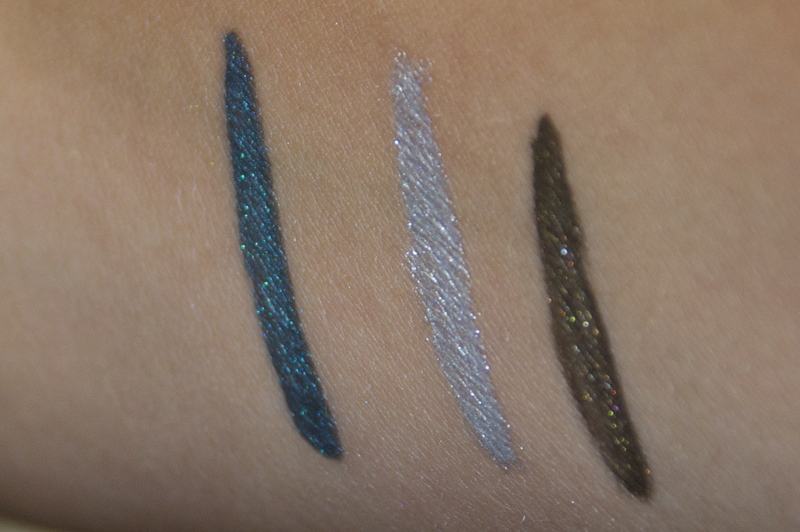 These are just beautiful, the glitter in the eyeliner is so intense (it actually has Swarovski crystals mixed into it!) The shimmer highlights and brightens the eye yet also gives definition because the depth of colour in the liner is rich. 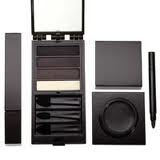 The packaging also has a strong appeal - each liner comes with its own velvet case. It has a waxy feel so glides on with ease but also holds in place, making for strong longevity. An extra special and luxury liner. We are thrilled to be included in the September issue of Glamour Magazine. As it is hard to get my hands on a copy of the U.S edition of this magazine I am having to rely on other people for details of who else is featured. I believe Michelle Phan, Kandee Johnson, Julie G, Samantha Maria and the Fowler Sisters are also in there. Thank you to all you guys that continue to watch and support us. Without you we would quite literally be talking to ourselves. Serge Lutens is a French photographer, fashion designer, perfumer and filmmaker. 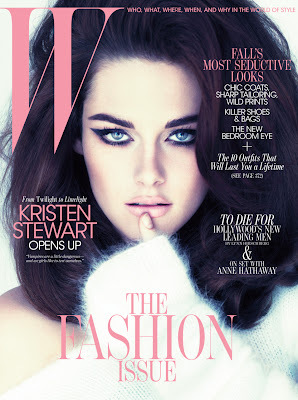 He is most recognised for his art direction and photography for the Japanese make-up brand Shiseido throughout the 1980's where he also designed the make-up and packaging, as well as strengthening and developing the brand image by shooting adverstising campaigns and creating short films. (He had previously directed films that were shown at Cannes Film Festival). His progression into perfume began when Shiseido commissioned him to create a fragrance for them. He persued his career in perfume, by designing and launching the Parisien perfume house Les Salons du Palais Royale. The salons, founded by Lutens in 1992 hold his fragrance and make-up collections, of which many items are only exclusively available in the salons, the perfume house was designed to capture Lutens imagination, and a dream like atmosphere that felt away from the world outside. 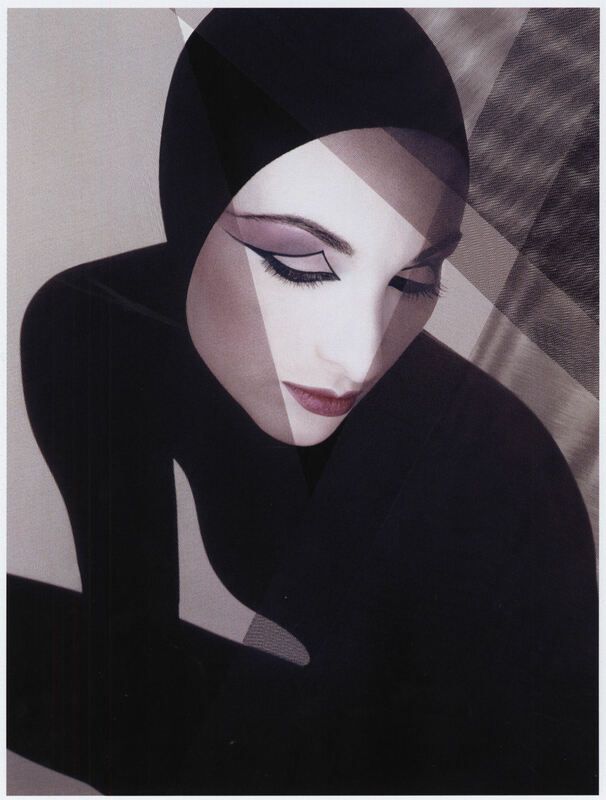 In 2000, he launched his own perfume brand Parfum Serge Lutens Beaute which is sold worldwide and in the salons. To focus more on his make-up range, Necessaire De Beaute, it is a collection of delicate, beautiful and carefully crafted high-end items. The range is utterly luxurious, yet minimalist in style and presentation. Each product is unique and are an 'expression of beauty' created by Lutens. Considering the size of the products which are delicate and small, the products are not an every day purchase. They are undeniably expensive, but you cannot doubt their special and qualities and the sheer genius and talent of their creator. It is not every day you come across a product like this. The range is sold exclusively at Harvey Nichols, London. It is cleat to see that Lutens talents are utterly vast - I haven't even touched upon his photography for Vogue and work with Dior - this small blog post does not do him justice, if you are interested in his works then there is an abundance of material and many books about his career and his art. Very much in the media at present is the news that L'Oreal has been forced to pull two advertising campaigns on the request from the ASA (Advertising Standards Authority). In light of this current discussion, and perhaps a follow on from the 'Rant' post that was put up a couple of weeks ago, I felt the urge to write about this too. 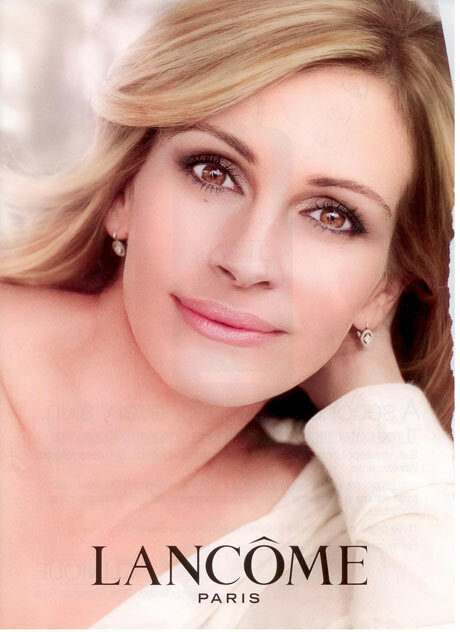 The adverts, one including Julia Roberts the other of supermodel Christy Turlington were forced to be pulled by L'Oreal after Liberal Democrat MP Jo Swinson lodged a complaint with the ASA stating that the images were overly airbrushed, the ASA then declared that the adverts breached the advertising standards codes. Swinson stated that the ads were "not representative of the results the product could achieve" - this is precisely what frustrates me about these kind of ads above all. I absolutely have no problem with the photo-shopping of images, it is everywhere and used by everyone for all different kind of reasons, but when images like this, which appear over the world, are subject to huge digital enhancement and over the top airbrushing that ultimately occurs to push products, it becomes utterly deceitful and false. It is so unrealistic to promote the idea that 'with this product you could like this', because actually, the person in the picture doesn't really look like that. These are only two cases from a wealth of advertising campaigns that follow this trend, the ones that stick in my mind are the vast majority of mascara adverts that basically show eyelashes that don't even belong to the model, yet apparently if you buy the product your eyelashes could allegedly look like that. It couldn't get any more distorted and misleading. Ultimately, these images are just wholly unnatural and however cliched it sounds, no-one is that perfect not even Julia Roberts and Christy Turlington, and although they are undoubtedly beautiful and incredible looking it just is not possible for them to look how the adverts portray them, because it makes them look inhuman. If people were to actually like the creations of the adverts, then we would lose our character and personality, it would just be odd. Also, along similar lines that the 'Rant' post raises, then what are these images supposed to do for the person viewing them. It runs risk of promoting issues with self-perception and self-criticism by putting these unrealistic images of women to front the campaign in order to sell the product. It easily can create a 'I wish I looked like that' feeling and the advert pretty much grants this wish by suggesting that with the product in question you could transform, even change, yourself with that product, that by using it one could take steps towards appearing like that. 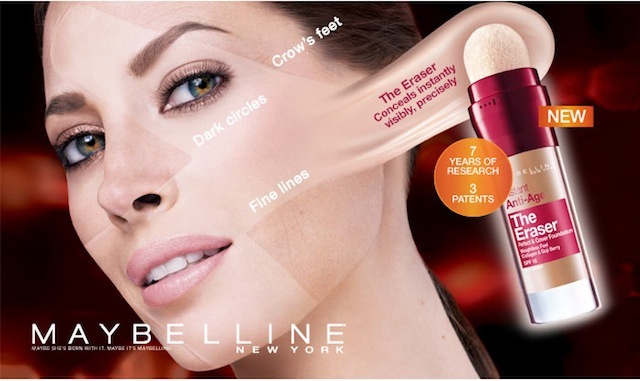 Using this technique to sell the product is just wrong and dishonest not to mention utterly false and unattainable because the person in the picture doesn't even look like that themselves, instead it has the capacity to be harmful and self-questioning. It is interesting also to see that these adverts are only banned in the UK and not in the US - I wonder if and when that will happen, however at least there is some kind of progression and a step towards change within this industry. To relate it to YouTube, I feel it is a forum that is constantly increasing in popularity in the make-up and beauty area because what you see is literally what you get, the people who make up the YouTube community are real people with lives that people can relate to, with absolutely no sign of digital enhancement - it becomes attainable and achievable. Of course there are people that unfortunately do feel the need to point out blemishes or lines, perhaps that reflects how their perception has been distorted by this kind of advertising. Individuals on YouTube are real, there is nothing to hide behind. Moreover, you can see the products at work, see what the products actually do, not just what they say they do and decide for yourself what you think of the product, it is honest precisely because the individual can form their own thoughts and opinions*, seeing products actually being demonstrated on real people. I love YouTube for that, you take from it what you wish without any huge claims or unrealistic and unattainable suggestions of what the product does to affect you, because you can see it at work for yourself, it can be very refreshing in times like this. *Obviously, some YouTubers choose to make sponsored videos but it is against the law for them not to state that clearly on their channel. Also I think it's fairly obvious when a video features a paid promotion.